Maradona says Jurgen Klopp is best manager in world ? Jurgen Klopp receives a lot of praise, all of which is pretty much thoroughly deserved. 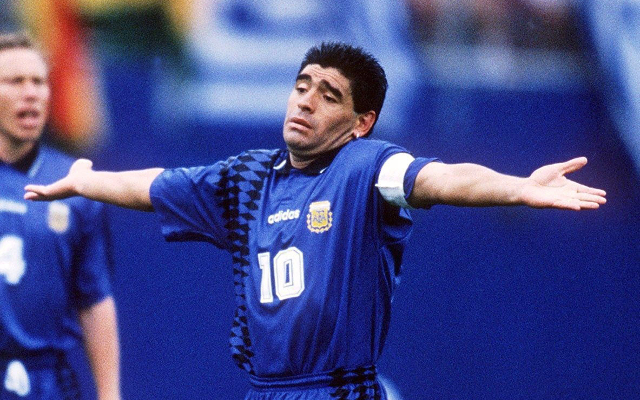 But he’ll be especially chuffed to have been chosen by Diego Maradona, perhaps the greatest footballer ever born, as the best manager in the world. The Argentine legend told Spanish paper Marca, translated by SportWitness, that Liverpool’s boss is his favourite right now. “Jürgen Klopp, at Liverpool. I love what he conveys, the type that gives me confidence. Before at Dortmund and now in the Premier League. Klopp is always going forward,” said the World Cup 1986 winner. Maradona is a lover of football in its most pure form (bar the odd handball here and there), so his comments pay Liverpool’s style of play a huge compliment. We hope that the former Barcelona and Napoli man has watched us this term, especially against Arsenal on opening day or at home to Leicester and Hull. During these games we saw periods of the most scintillating football played by Liverpool in recent history. Hopefully we can continue to impress Maradona and the rest of the football world throughout this campaign.